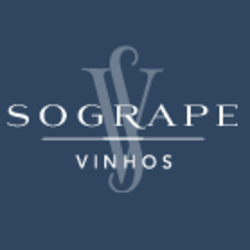 The SOGRAPE Wines was born of the will and courage of a group of friends who, in difficult economic and political environment of 1942 decided to invest heavily in a man's visionary talent to create and develop a wine company different, innovative, able to disseminate and enforce Portuguese wines in international markets. Were the vision, character and strong personality of Fernando van Zeller Guedes who traced the course winner for a project that many considered the outset doomed to fail. The ability to see first, and to see further evidenced by the founder of SOGRAPE resulted in the creation of the first global brand Portuguese wines - Mateus Rosé - whose resounding commercial success in over 120 countries served as the decisive impetus for growth and leadership statement that the Company today rightly complains. The openness to innovation and ambition to do differently - allied to the respect for tradition and the values ​​of ethics and responsibility - marked the genesis of an organization that has been able to preserve the vision of founder and adapt it to the inevitable changing times.